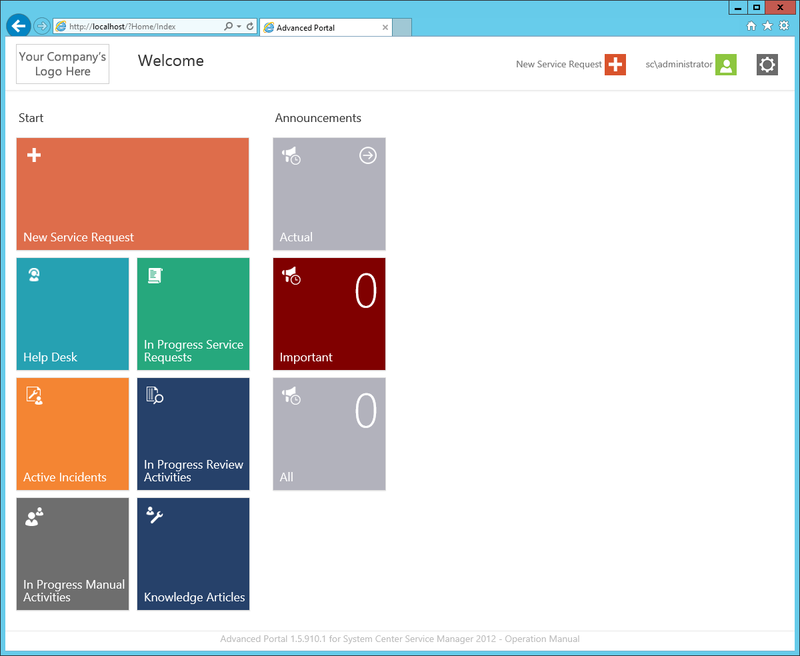 In our last post, we covered the Installation of the Advanced Portal for SCSM 2012. In this post, we will walk through some Troubleshooting steps. According to the Installation Guide from the Vendor, here are the steps as requested by the Vendor. If you have any problems with the installation, please collect some additional information, to help us in solving the issue. 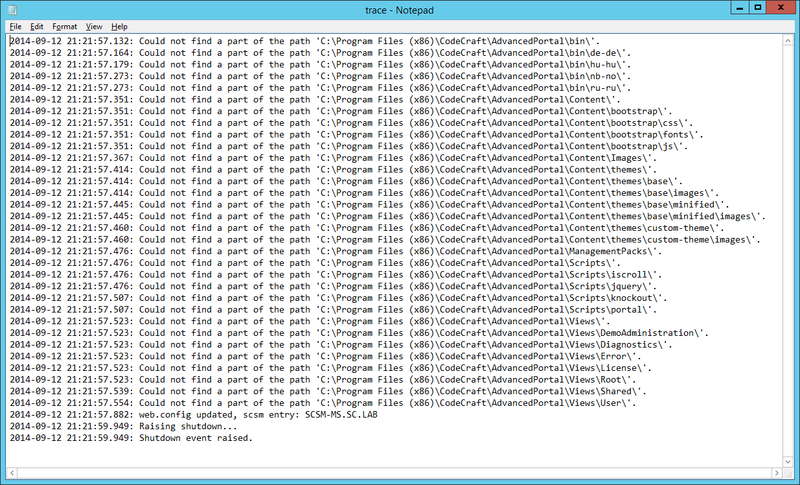 Next to the deployment tool, you will find a trace.log file with verbose information about the deployment process. DebugView is always helpful, it gives a little more information then the above mentioned log options. If you have problems with starting, running the application, please send us the trace. *.log files found under the installation directory, with an error description. The logs are under the [sysdrive]:\Program Files (x86)\CodeCraft\AdvancedPortal” (or under the custom install directory). If you notice my Trace.Application.Log file, you will notice that there are multiple entries that show “Initializing view before first use” and then some Hungarian text. I have sent these Log files to the Vendor for further analysis/direction. Alternatively, on the Settings page, you can choose English from the list of language, as displayed in the following screen shot. 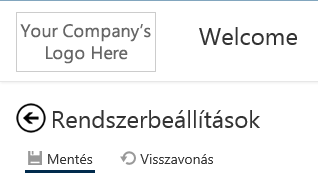 Obviously, unless you read Hungarian, you might have a hard time finding the Save button to apply the language change. Near the top left on the Settings page, look for the button labelled “Mentés” which is “Save” in Hungarian. The site will re-load after the language re-configuration, and will finally be shown in English. Hopefully the Vendor will correct this minor issue, and update the installer. Additionally, the Vendor also provided the following additional information (with some screenshots added by me for clarity). The default views on the portal are generated on the first installation. So probably you will have them with Hungarian labels. However you can rename them, I’ll describe you below, how you can re-generate them with English labels. 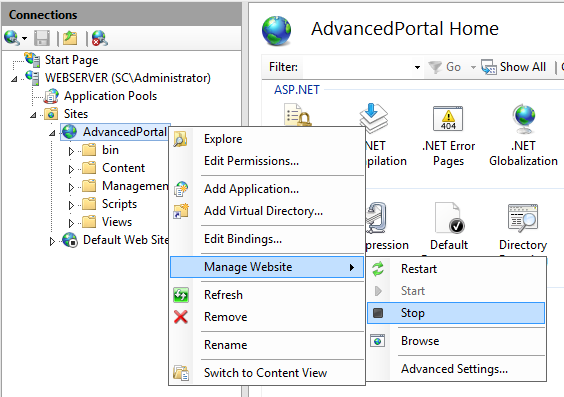 Stop the Advanced Portal site in the IIS Manager. On the Service Manager Management Server, open the Service Manager console, navigate to Administration > Management Packs, and delete the “CodeCraft EnterpriseManagement Common Library“. Back on the Advanced Portal web server, open Windows Explorer and navigate to the Advance Portal installation directory (by default at C:\Program Files (x86)\CodeCraft\AdvancedPortal). 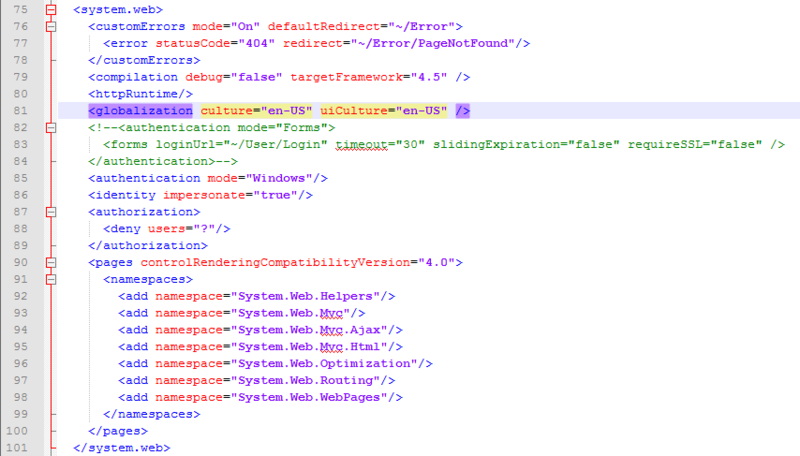 Within the this directory, look for the Web.Config file, and open it (i.e. in Notepad). With the Web.Config file open in an editor, find the line “<add key=”IsDeployment” value=”false” />”, and change the Value to “true”. In the Web.Config file, this should be at Line 73. Also find the line “<globalization culture=”en-US” uiCulture=”en-US” />”, and confirm that it is set to “en-US”. In the Web.Config file, this should be at Line 81. Once you have made these changes save the Web.Config file. 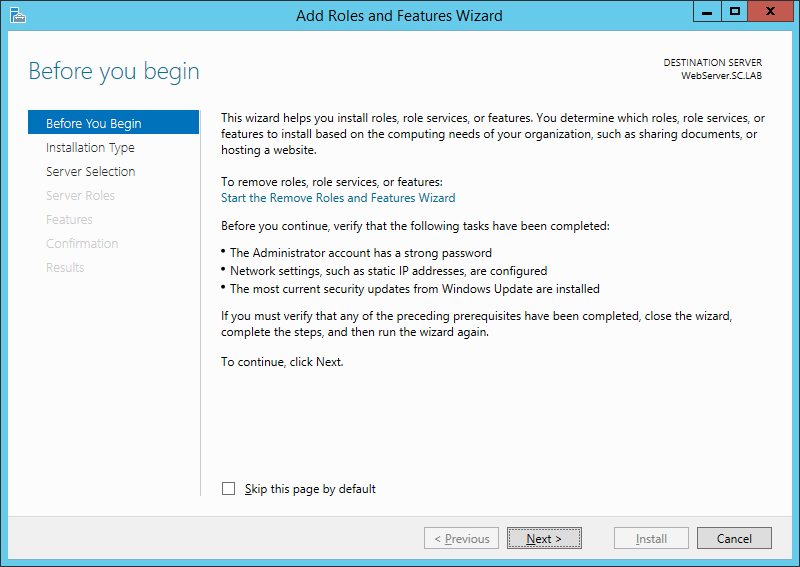 Go back into the Internet Information Services (IIS) Manager, and Start the website. Re-launch the website in a browser. This will cause the Advanced Portal to re-import the required Management Packs, and should generate the Views in English. Also, the “IsDeployment” key will automatically be changed back to “False”. This worked successfully in my testing. 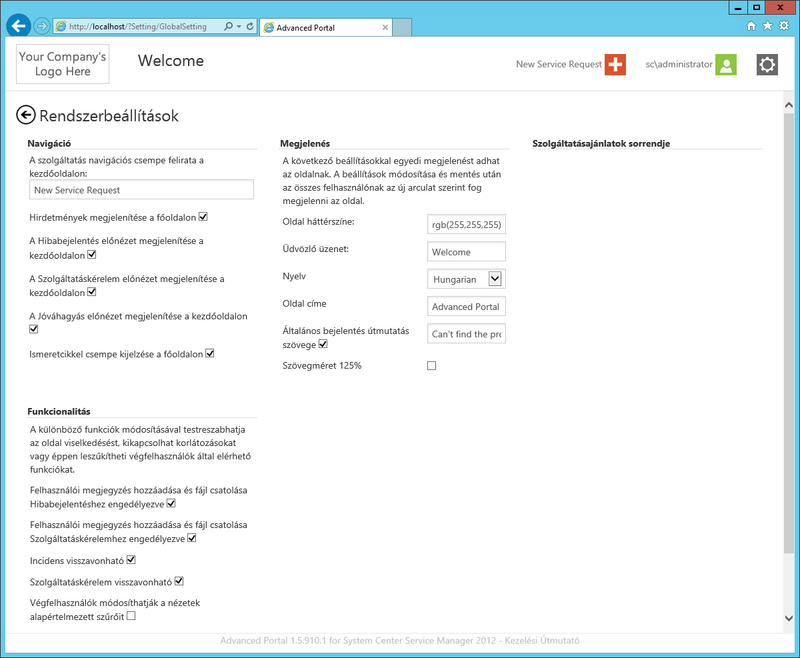 Well, that’s my review/experience with the Advanced Portal for SCSM. Give it a try, and see if it will fill the current SCSM Portal gaps, and fill your company’s needs. In our last post, we covered the Requirements of the Advanced Portal for SCSM 2012. In this post, we will walk through the Installation steps. IMPORTANT: If you have a previous Trial version installed, you will have to uninstall it before beginning the installation. Start by downloading the current version of the Advanced Portal. As of this writing, the current version is 1.5.0910. 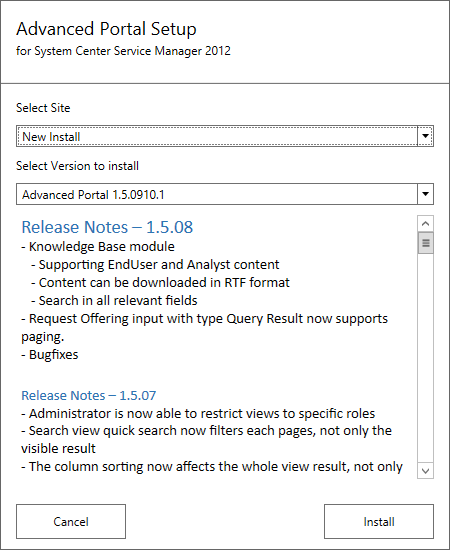 Run the AdvancedPortal.DeploymentManager.1.5.0910.1.exe installer. You can choose either a new installation, or upgrade an existing installation, by selecting the option in the Select Site drop down. The second dropdown (Select Version to Install) contains the available versions which can be installed. Make the appropriate selection(s), then click Install. 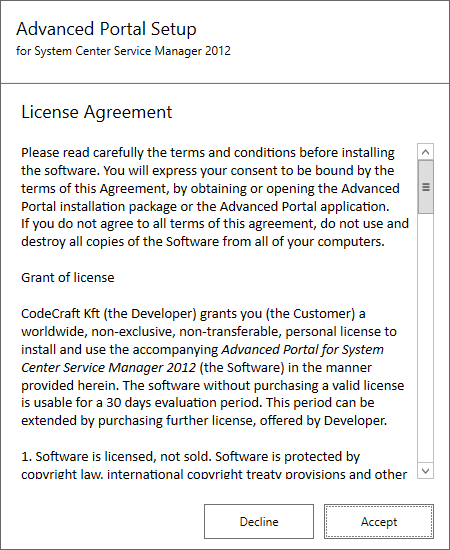 On the License Agreement screen, read the agreement details, and click Accept. NOTE: In case you are performing an upgrade, accepting the license agreement will immediately upgrade the existing installation. 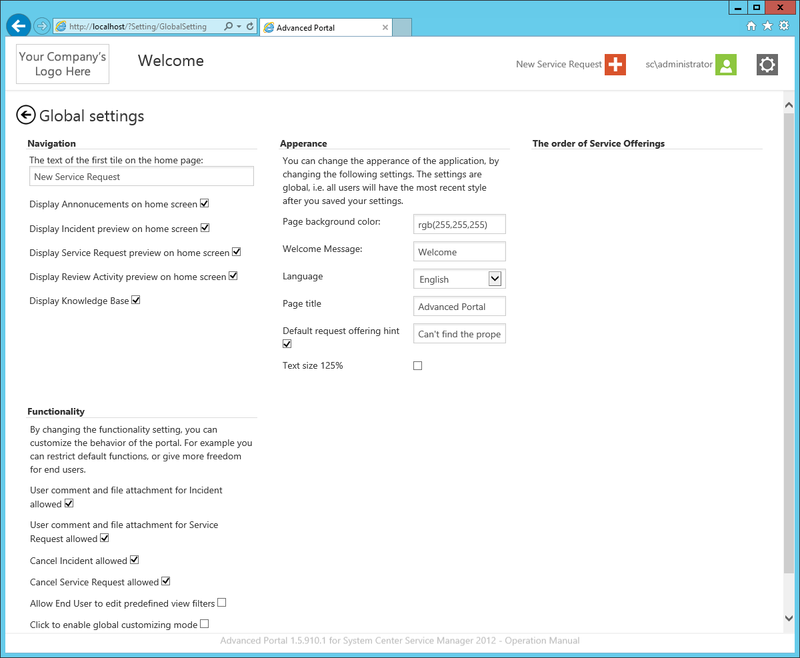 The upgrade uses the configuration of the existing application, and tries to migrate each setting made on the configuration page. 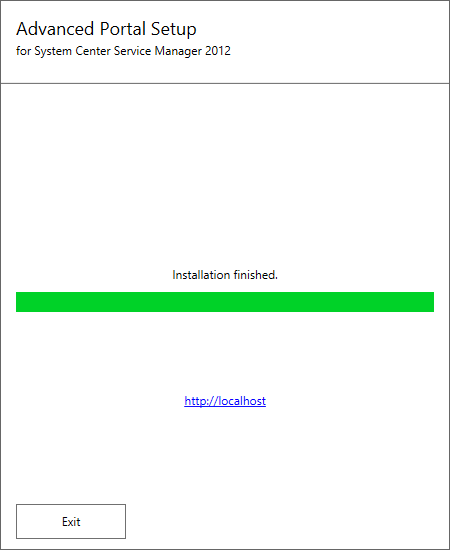 If you are performing a new installation, you will be presented with the following screen. Fill out the following information, then click Install. The Application Pool credentials (user and password) required to authenticate the application. 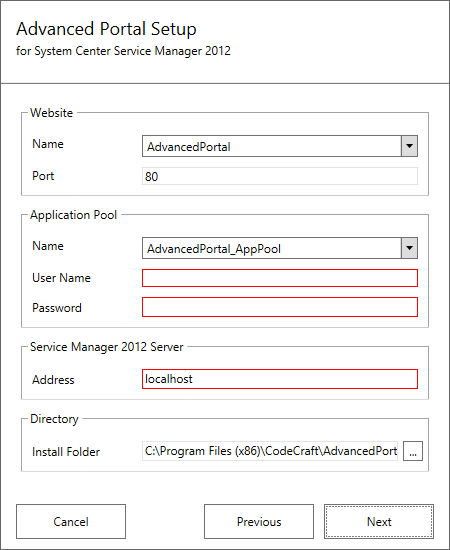 The Advanced Portal uses these credentials to connect to the Service Manager 2012 server. The address of the Service Manager server. You may be prompted with the following dialog (“The entered data could not be verified. 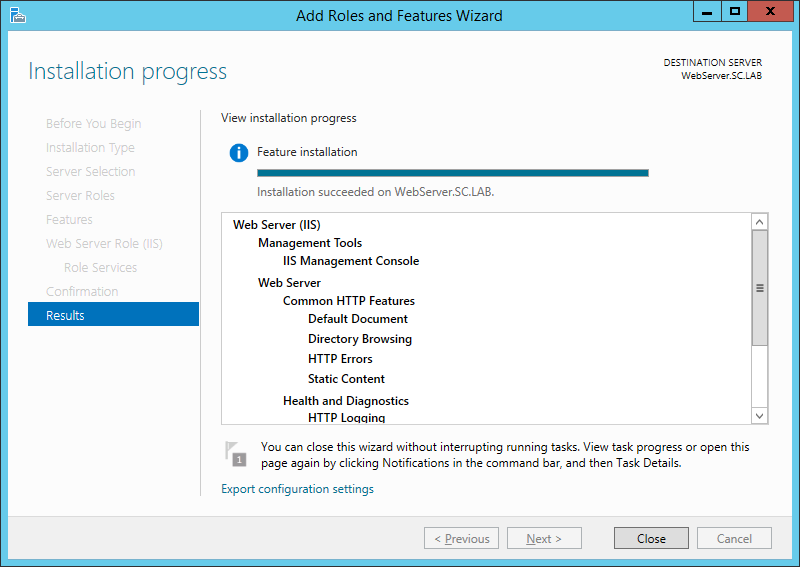 You can change the settings after installer finished using IIS Manager or the web.config file.”). If you do, click Yes. NOTE: In my lab experience, I encountered this dialog even though the entered User Name, Password, and Address information was accurate. Once the installation is completed, click Exit. NOTE: The installer automatically opens the site after installation is finished. 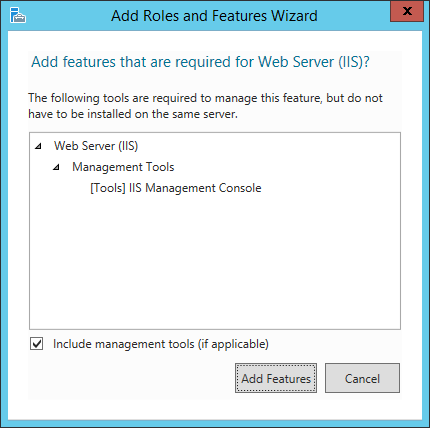 If you want to change the configuration later, you will have to manually change the website configuration in IIS Manager. IMPORTANT: In my lab example, I installed the Advanced Portal to an existing web server, so the default http://localhost doesn’t point to the Advanced Portal. Also, in my case the web site was created, but not started. 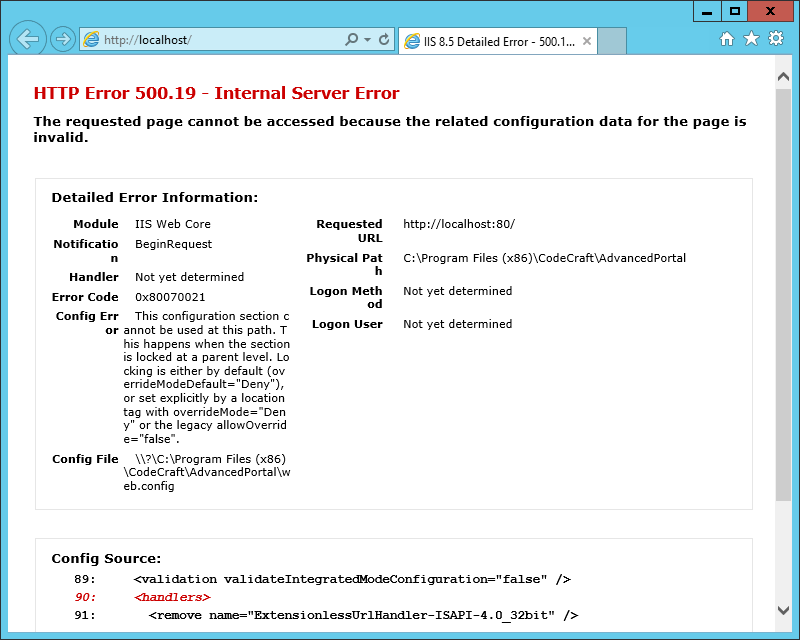 This was due to the default port (Port 80), already being in use by the “Default Web Site” in IIS. All I had to do was stop the Default Web Site, and then I was able to start the Advanced Portal web site. IMPORTANT: When I attempted to navigate to http://WebServerName, I encountered the following error (Note: This was with a previous version, as the current installation documentation correctly identifies the Application Development Features that were missing at the time I performed the installation. I wanted to keep this information in the article in case it comes up for anyone else). Config Error: This configuration section cannot be used at this path. This happens when the section is locked at a parent level. Locking is either by default (overrideModeDefault=”Deny”), or set explicitly by a location tag with overrideMode=”Deny” or the legacy allowOverride=”false”. Based on my previous experience with a different program (SMTrak Enterprise Dashboard by Signature Consultancy), I encountered the same error during deployment. 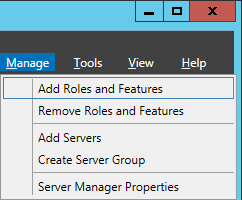 So, I launched Service Manager again, clicked on Manager > Add Roles And Features, and navigated to the Server Roles screen, and expanded Web Server (IIS). I clicked the “ASP.NET 4.5” Application Development feature to add it, and it automatically added the other 3 missing features. Then click Next, until you get to the Confirmation screen, then click Install. After the missing features are installed, I re-attempted to navigate to http://WebServerName. The result? I am properly presented with the Settings screen! Let’s continue with the rest of the Installation and Configuration. In the web browser, navigate to http://WebServerName:8090. If everything is setup and working correctly, you should see a page similar to this. If you click on the gear icon in the top right corner, this will bring you to the Settings page. As you can see from my screenshot, apparently it is in a foreign language (specifically Hungarian), which is odd since my OS is in English, the installer was in English, and there was no option for choosing a language. So, again, I contacted the Vendor for assistance. In the meantime, I was able to correct the issue, which I have documented in the Troubleshooting post of this series. 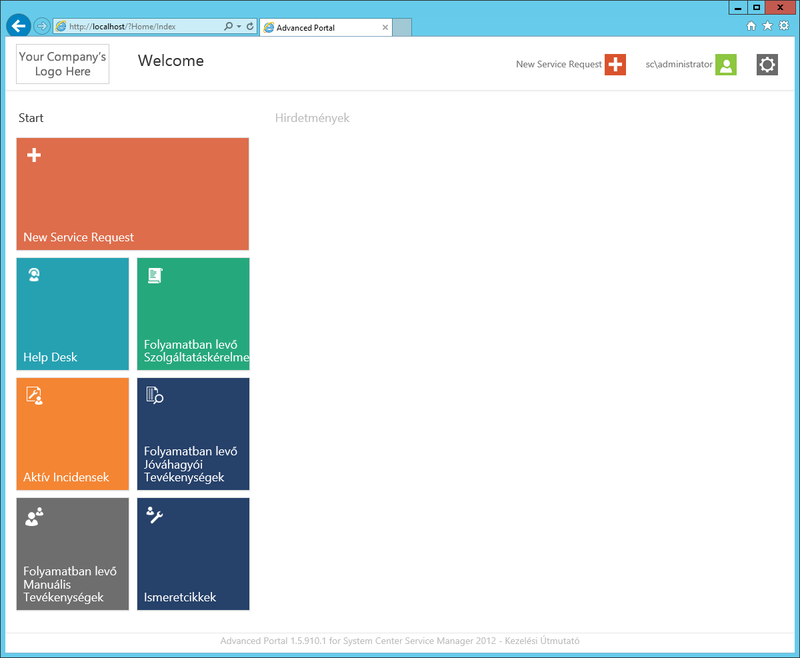 In our last post, we were introduced to the Advanced Portal for SCSM 2012. In this post, we will walk through the Requirements, and get those ready. 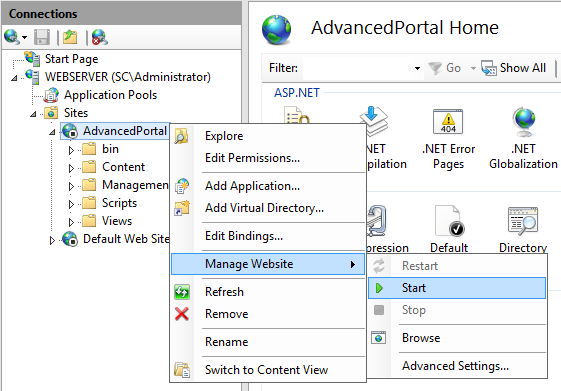 NOTE: It is not required to install the Advanced Portal on the same server as the Service Manager Management Server, therefore it can be on its own server. 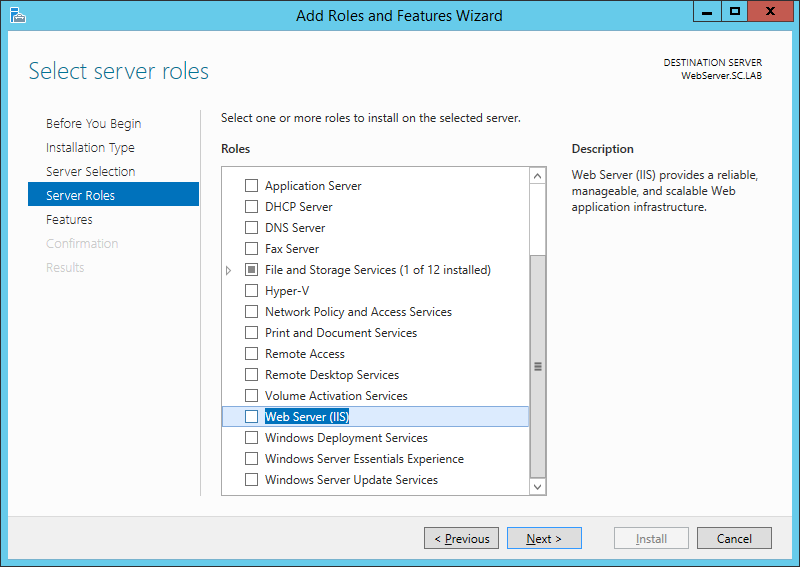 This walk through on installing the Web Server (IIS) server role has been done on Windows Server 2012 R2. If you are using a different Windows Server version other than Windows Server 2012 or R2, your steps may be slightly different. 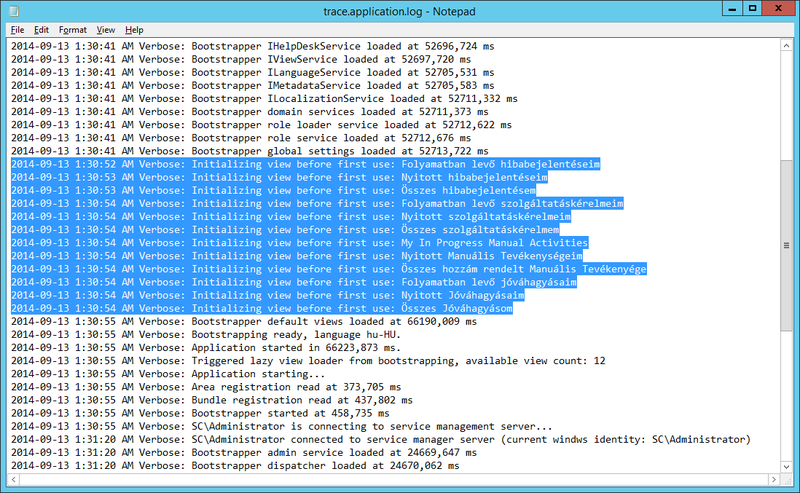 Start by launching Server Manager from the taskbar. Click on Manage, and select Add Roles And Features. On the Before You Begin screen, click Next. 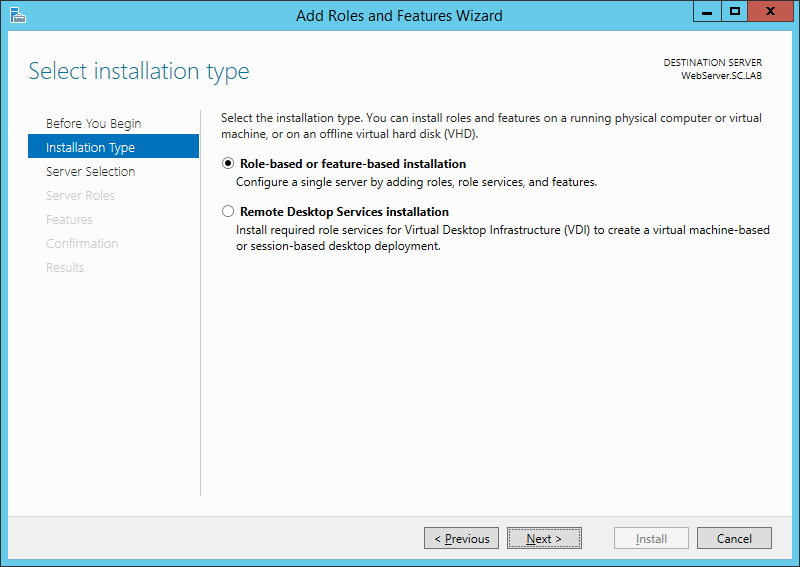 On the Installation Type screen, select Role-based or feature-based installation, then click Next. 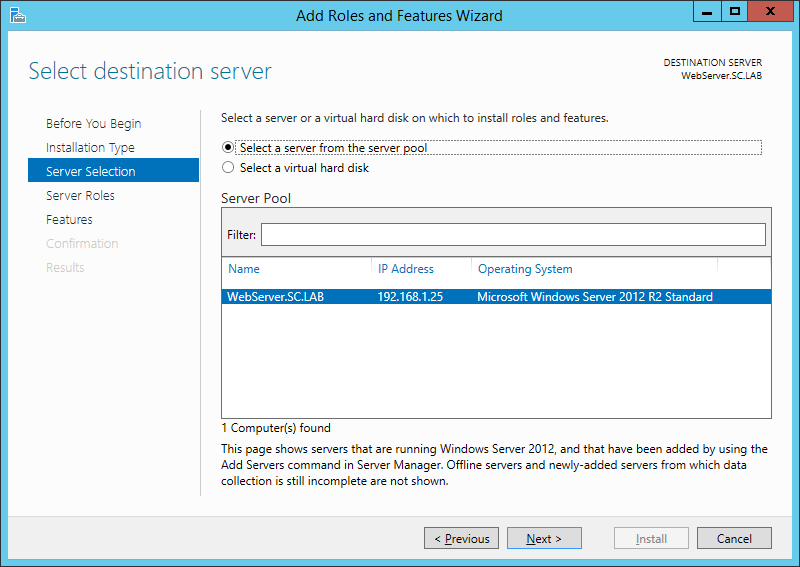 On the Server Selection screen, ensure that your web server is listed and selected, then click Next. 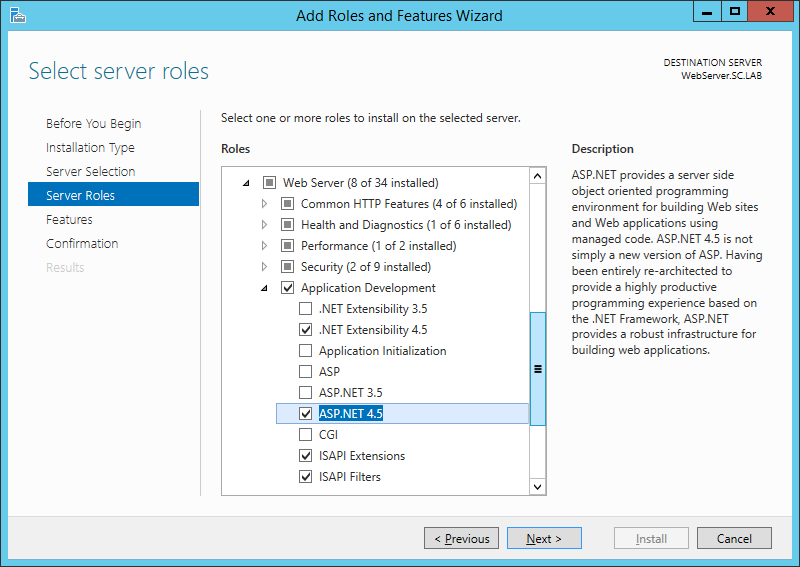 On the Server Roles screen, scroll to the bottom of the Roles list and select Web Server (IIS). NOTE: You will be prompted with the following message. Click Add Features to continue. 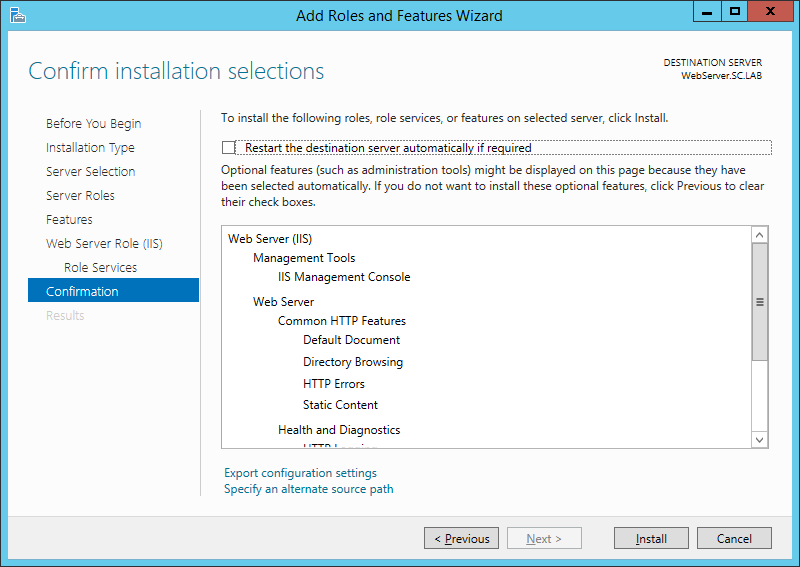 The Web Server (IIS) role should now be selected, then click Next. On the Features screen, click Next. 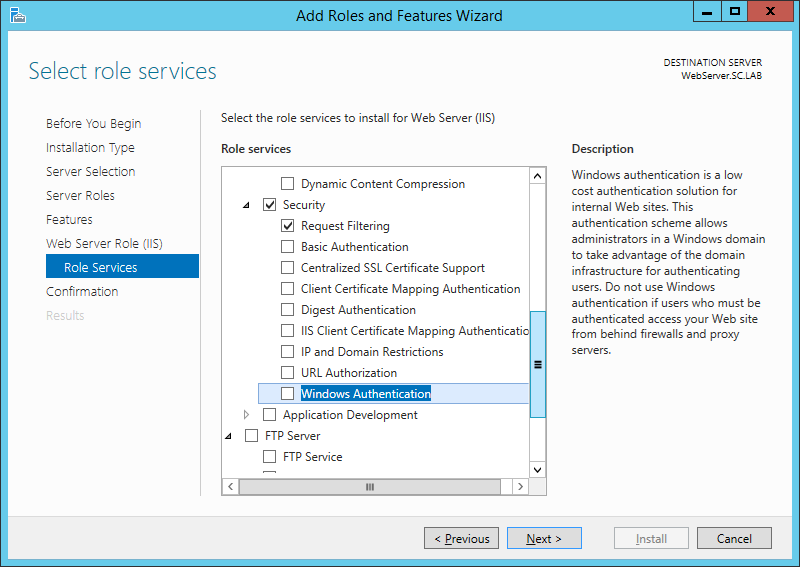 On the Web Server Role (IIS) screen, click Next. 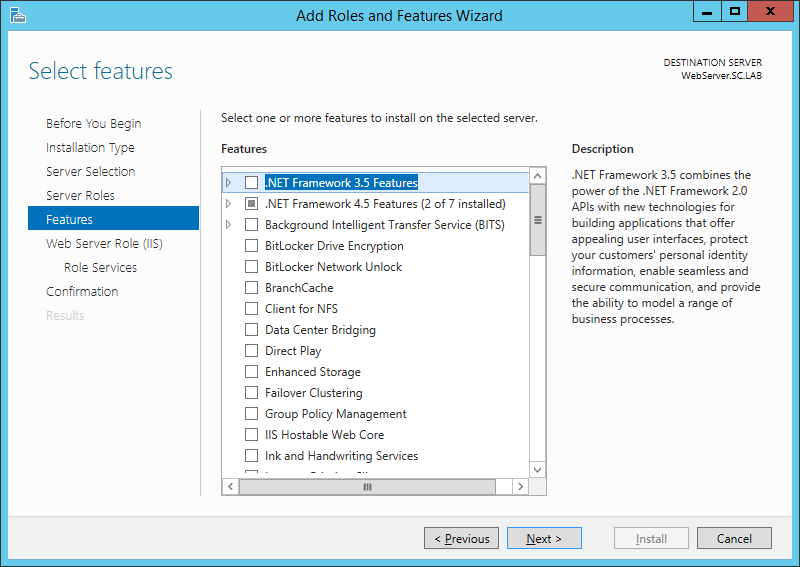 On the Role Services screen, ensure that the following Role Services are selected, then click Next. On the Confirmation screen, click Install. Once the installation has completed, click Close. 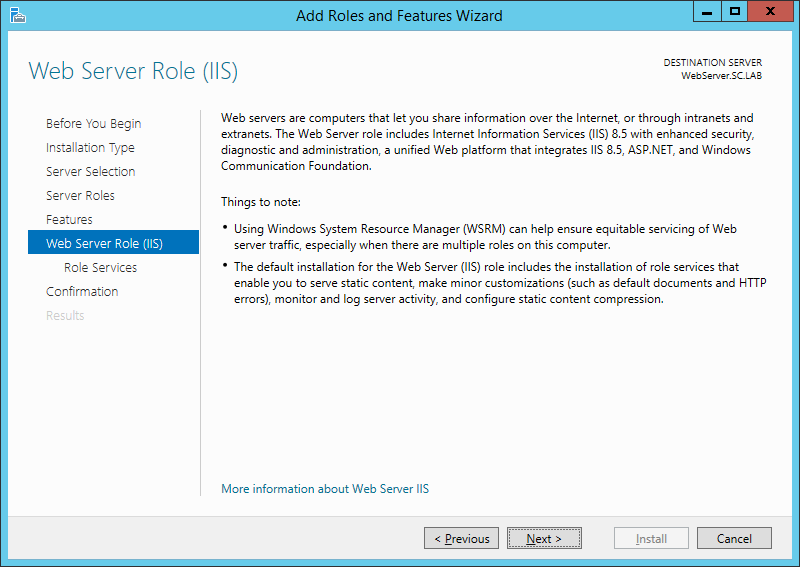 We now have the Web Server (IIS) role installed. In our next post, we will cover the actual Installation of the Advanced Portal.